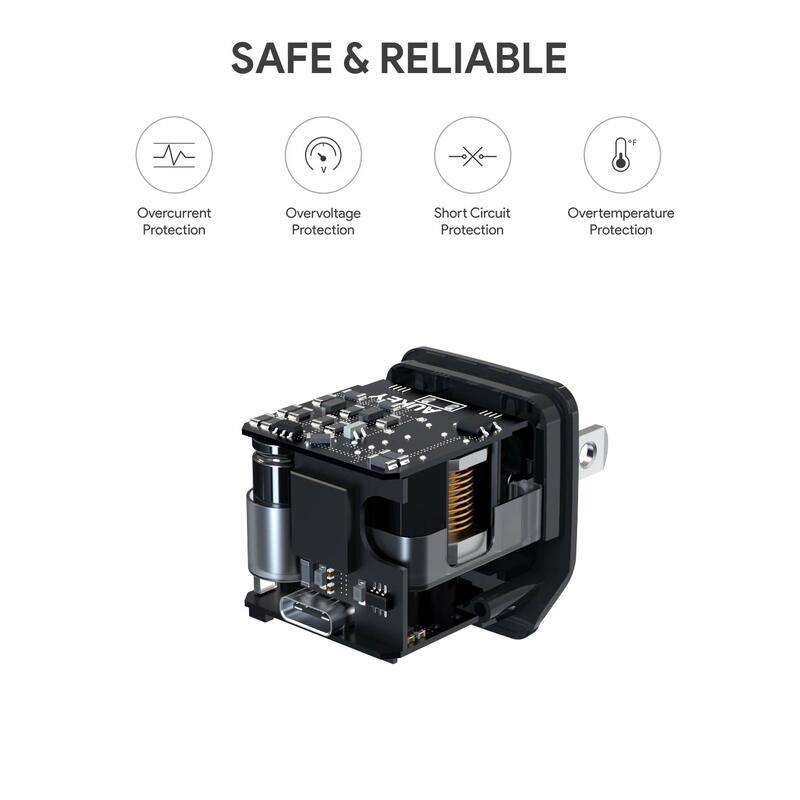 Today I am going to review a wall charger from a company called AUKEY® they combine the latest technologies with over a decade of hardware expertise to design and build solid, reliable consumer electronics and mobile tech accessories. They’re a team of techies with a common appreciation for the finer details and utility of great products. From USB-C accessories to smartphone lenses to Bluetooth audio products, they’re continuously developing and expanding their product portfolio to bring you practical, next generation tech to complement and elevate your digital lifestyle. The design of the charger is very small unlike one I reviewed last year that was a bit bulky for doing the same thing but the only difference with this one is this is 18W and the other one I reviewed was meant for a Macbook at 60W. 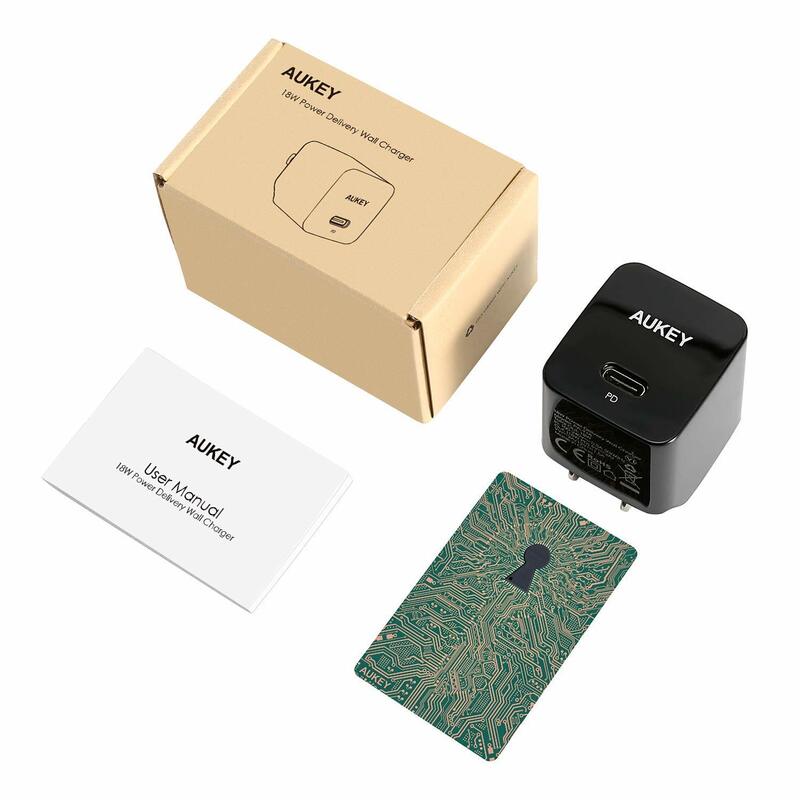 I do own a small compact 2 port usb charger designed the same it might be Aukey too I reviewed a while back so memory is a bit foggy but I still use it currently. 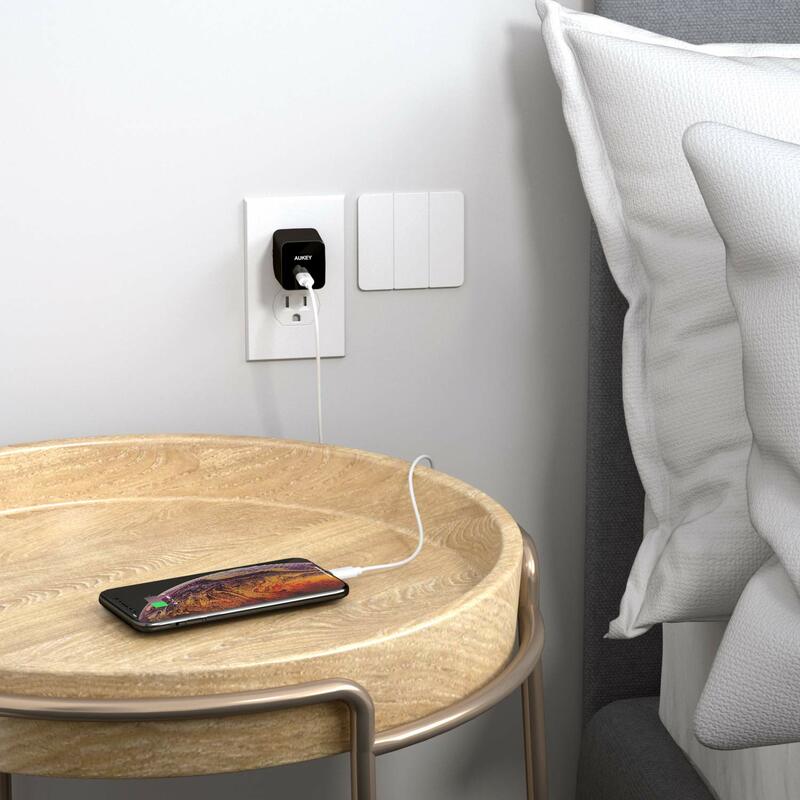 This charger looks very nice for charging your USB C Smartphone but you might want to get one to support charging your Laptop and other usb c devices that are power-hungry. So how does it perform? That’s what this review intends to show you, so read on…. 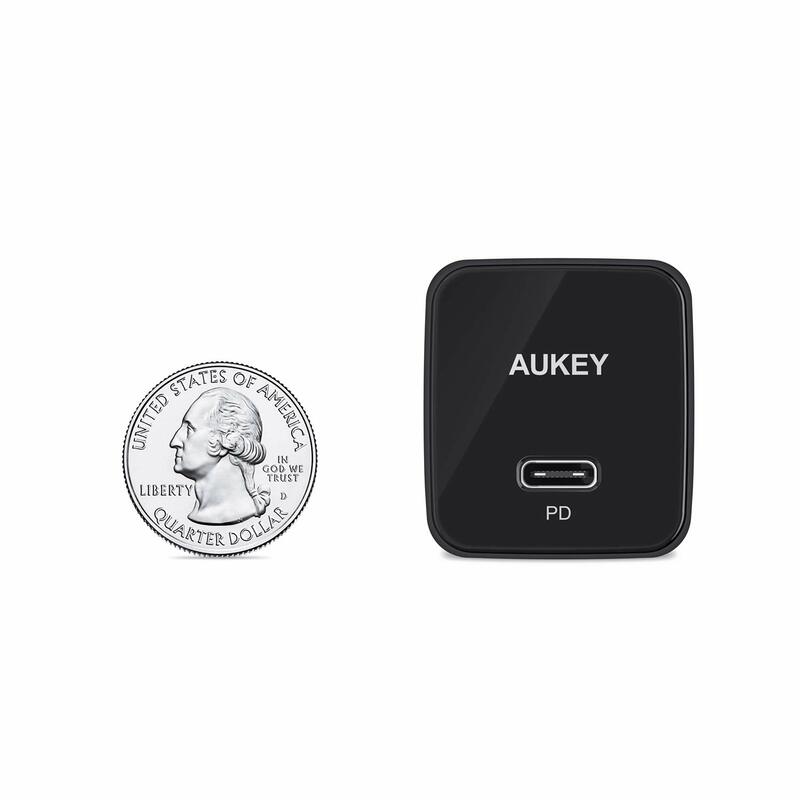 Save $4 on AUKEY USB C PD Charger with 18W Power Delivery Discount at Amazon USA checkout. Make sure to clip it! 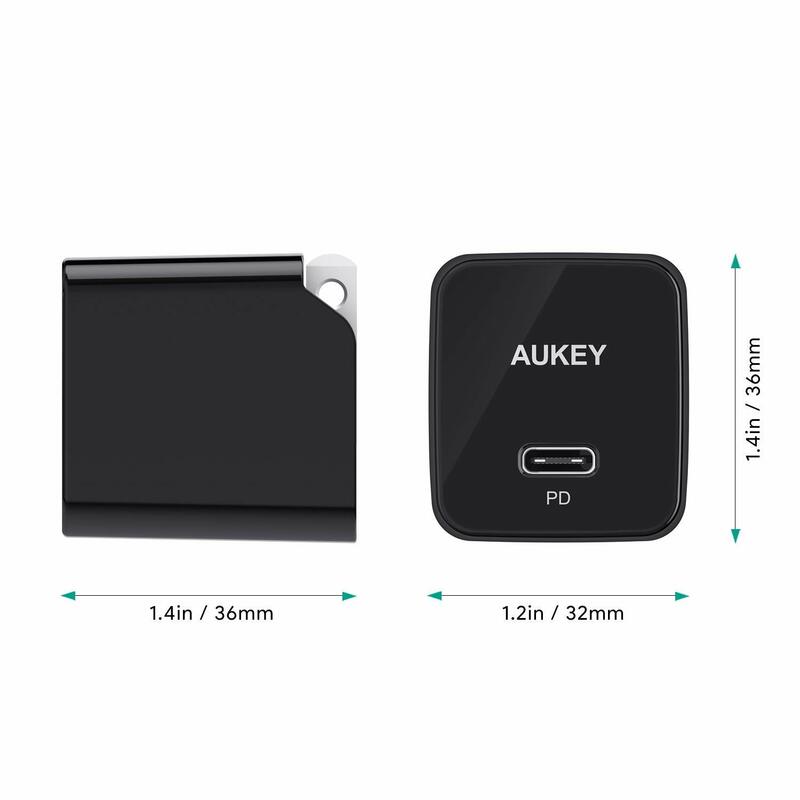 The Charger only has one usb c port and isn’t very powerful for USB-C Macbook but I did see a few other chargers AUKEY sells that would be great for charging a macbook and iphone together. 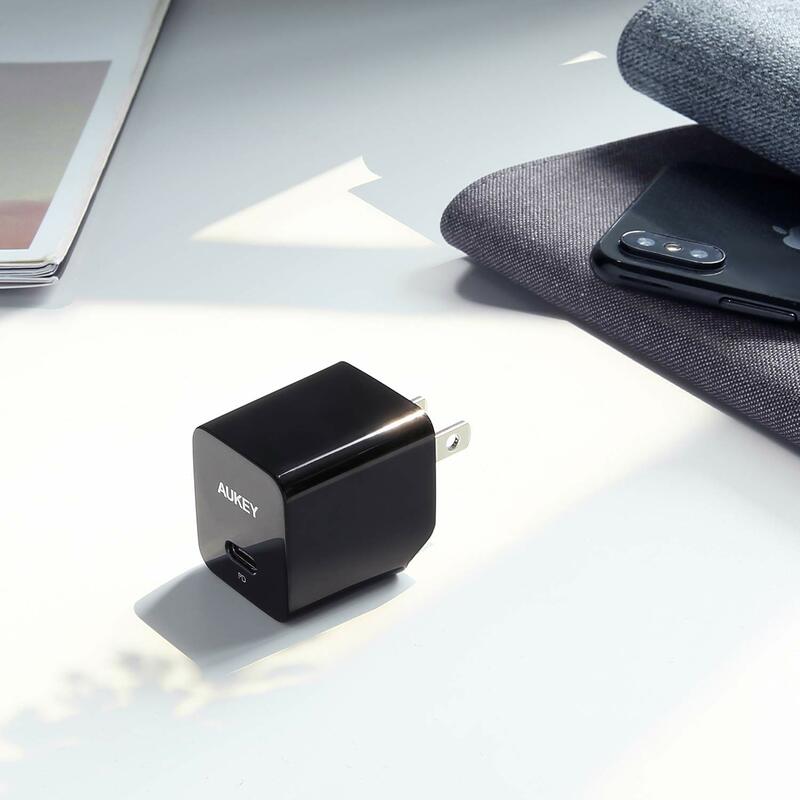 The AUKEY 18W Power Delivery 3.0 Compact USB-C Wall Charger doesn’t have any usb port it’s just one usb c port which is nice to charge your phone or tablet, But something I found is that the same could be done with a usb charger along with a two usb-c cables plugged into this other charger I keep mentioning in this post. 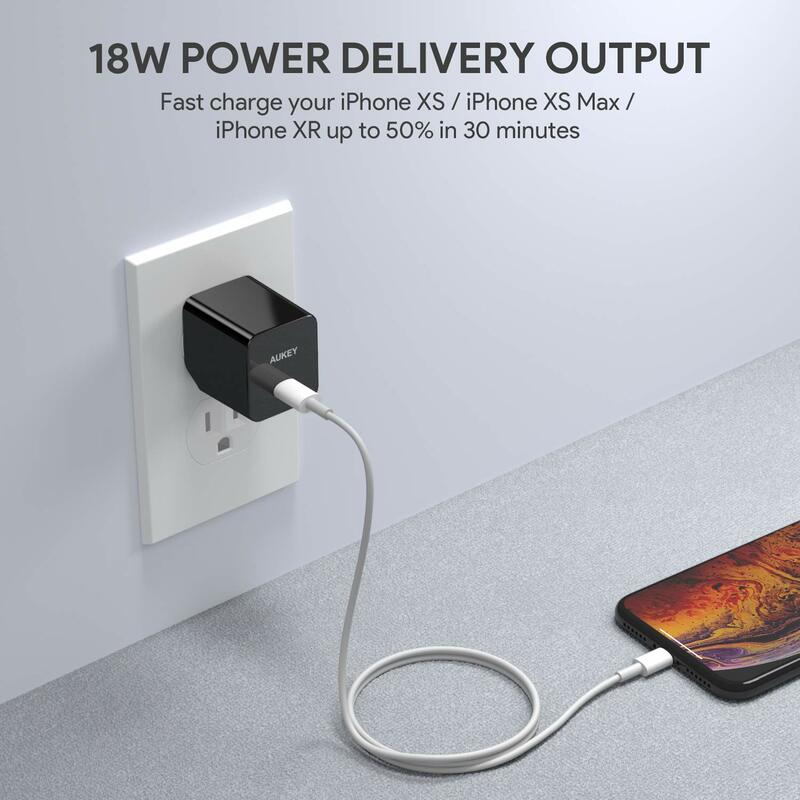 The AUKEY 18W Power Delivery 3.0 Compact USB-C Wall Charger is priced affordable even better with the coupon I mentioned. So is this charger compared to a few others on amazon even worth it? I would say yes AUKEY is known to have outstanding customer support and have been around the block than most tech accessory sellers on amazon anytime I’ve had trouble they usually help fix the problem it’s a no brainer to save some money and choose AUKEY or you could take the risk and try out another company but that’s your risk which I wouldn’t take when dealing with an already expensive tablet or phone.